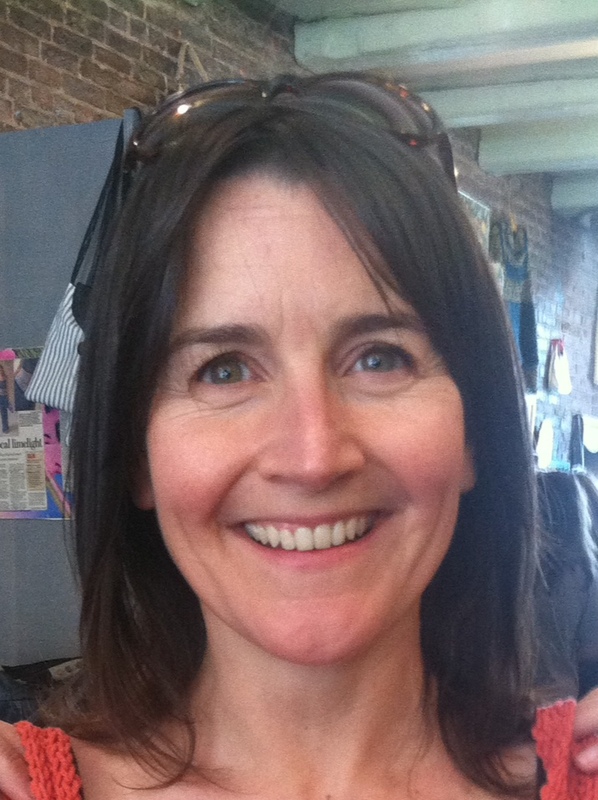 Katie O’Connell, E-RYT 500, Ayurveda Health Practitioner, Ayurvedic Yoga Specialist, Thai Yoga bodyworker, Access Bars Practitioner, Reiki II Practitioner. Katie is a fun-loving yogi known for singing and jamming with her band The Starlight Honeys, her love of cooking, gardening, and snuggling with her three kitty cats, two kids, husband Declan, and of course, practicing YOGA! She can be found doing yoga in the mountain forest, on a rock, on a paddle board, in a river, in snowshoes, on the beach… anywhere! Katie has always been fascinated by dragonflies–their ability to transform, catch the wind, maneuver spirals and water dips with such grace, always shining iridescent in the sunlight, thus they have become our studio symbol. Offering yoga retreats at Dragonfly Yoga and around the world has become a passion! Katie is an Experienced Registered Yoga Teacher (E-RYT), has been practicing yoga for 21 years, logging nearly 10,000 teaching hours since 2003, training yoga teachers since 2011, and has completed over 900 hours of primary and advanced yoga study with Paula Tursi, Bernie Clark, Cora Wen, Sadie Nardini, Sudha Lundeen, and many other prominent veteran teachers. Katie studied Ayurveda Yoga Therapy with Marisa Laursen and Dr. Marc Halpern, head of the California College of Ayurveda, with whom she also earned a certification in the ancient science of Yoga Nidra. Katie is an Ayurvedic Health Practitioner, studying under Dr. Paul Dugliss at New World Ayurveda and has nearly 1,000 hours of study as an Ayurvedic Practitioner and Ayurveda Yoga Therapist/Specialist. She also has numerous certifications in Thai Yoga with Peter Kaaberbol (2006), Sunny Klaber (2012), and T’ai Jamar Hannah (2013), and is SUP Yoga trained by Michelle Clarke of Moondala. Katie is a long-time student of Bernie Clark, one of the three primary Yin Yoga teachers in the West, and credits her love of Yin to Paulie Zink, where she first learned about Tao Yin Yoga in 2008. Her greatest teachers of all are her students, her own children, and her husband and partner in everything, Declan, aka Dhadood. Katie teaches daily yoga classes, offers Ayurveda & Yoga consultations and classes, private Thai Yoga bodywork, Yoga Mentoring, YTT, Ayurvedic Indian Cooking classes, and Reiki appointments in front of the sun-filled windows facing the peaceful hemlock forest here at Dragonfly Yoga Barn. Lisa Buerk, RYT 200 grew up in South Florida and was a children’s dance teacher before becoming a flight attendant. She has lived in New York, California, and finally landed in NH. When she is not flying across the country, she loves floating over the local lakes and mountains with her husband in their antique airplanes. She enjoys canoeing, kayaking, hiking, and growing and gathering fresh vegetables in her garden and preparing healthy meals with her husband and friends. Lisa has been practicing yoga for 20 years and is excited to be sharing with others her love of yoga and the peace and calm it brings. Her most recent certifications include Bernie Clark’s Yin TT and Pilates Mat certifications. Lisa teaches at Dragonfly year round and in the Dragonfly Yoga Summer program at Rockywold-Deephaven Camps in Holderness, NH. Ashley Bullard is newly-minted Dragonfly 200 YTT graduate and is excited and thankful to be teaching yoga at the barn. Ashley has been practicing yoga for 25 years, beginning in college. Off the mat Ashley fills her life with creative endeavors: she is a professional oil painter; runs a seasonal food truck and catering business; teaches art to elementary children; coaches Nordic skiing; maintains her homestead vegetable and flower gardens; designs houses with her partner; and supports her nearly-grown teenage daughters. Ashley teachers Vinyasa Flow. Hannah Hayes, PT, DPT, RYT 200, is a Doctor of Physical Therapy and practicing yogini. She was first introduced to yoga while at Quinnipiac University where she earned her Bachelor’s in 2006 and Doctorate in Physical Therapy in 2009. She completed her 200 hour YTT through Vidya Vinyasa with Katie O’Connell and Melissa Scaglairini in May of 2012 at Dragonfly Yoga Barn. She believes that with yoga a greater awareness of our ability to move is awakened, which is a dream come true to any physical therapist. Off the mat and out of the clinic, Hannah loves the New England Patriots, riding a Harley, hiking, snowshoeing, and reconnecting to her love of photography. Hannah lives in Alton Bay with her husband and little boy. She is excited to be back at Dragonfly teaching anatomy to YTTs. Betty Webster, RYT 200 is a former guidance counselor who has been practicing yoga for over 16 years, and graduated from Vidya Vinyasa’s 200 hour YTT at Dragonfly Yoga with teachers Katie O’Connell and Melissa Scagliarini in May 2012. Betty lives in North Sandwich enjoys the peace and beauty of life in the mountains and woods of NH. She was an EMT on the Sandwich Fire Department for 21 years, and also has a local gardening business. Vinyasa flow, gentle yoga, Yin yoga, human anatomy, and the introduction and integration of yoga into daily life are of special interest to Betty. She loves being outside, working in gardens, painting, and being with her family (especially her grandchildren!) Betty is a regular guest instructor at DFly and teaches in the Dragonfly Yoga summer program at Rockywold-Deephaven Camps. Reiki, Massage, Trail Guides, and more! 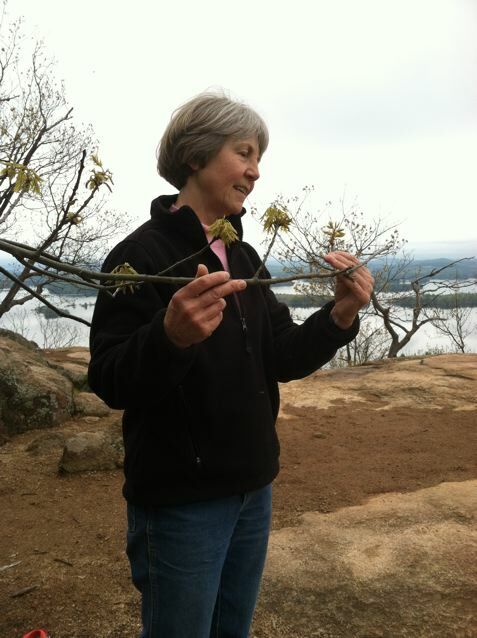 Chele Miller, Naturalist, Trailguide & Tracker: Chele enjoys sharing the outdoors with people of all ages and backgrounds. She leads hikes, tracking expeditions, and is always honing her skills at learning birdcalls of our feathered friends, as well as following the prints of all kinds of animals, from elusive wild cats and moose to coyotes and raccoons. Let us know if you would enjoy a group hike to check out the local flora and fauna of Sandwich! Dragonfly Yoga Barn continues to grow strong in yoga, workshops, Ayurveda, group retreats, Kirtan, YTT, and music events. 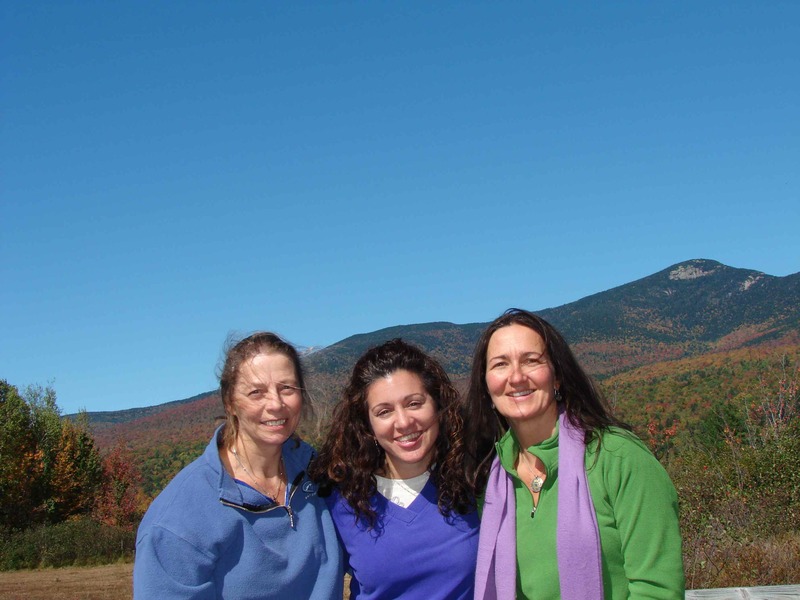 Join us on our journey of awareness, joy, strength, and surrender in the mountains of central New Hampshire!